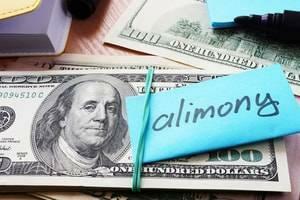 After a divorce is finalized, issues often arise which require a post-decree modification. There are other times, however, when an ex-spouse is being uncooperative and not fulfilling his or her obligations. When this situation arises, it is often necessary to go back to court and enforce the terms and conditions of the original divorce decree. To ensure your interests are protected during this process, it is important to work with an experienced Illinois post-decree enforcement and contempt hearings attorney. The award-winning lawyers at Mevorah Law Offices LLC have provided skilled representation to clients with post-decree compliance and contempt issues for over 35 years. We put this experience to work to provide clients the most practical and effective solution for their legal issues. We are highly acclaimed not only for our skill and experience, but also for our client-centered approach. Our attorneys are honest, compassionate, responsive and down to earth. We keep extended evening and weekend hours to accommodate your busy schedule and we provide regular updates on the progress of your case so you are always kept in the loop. When it comes to post-decree enforcement and contempt hearings, we are aggressive advocates for the interests of our clients. Failure to comply with a child custody or visitation arrangement. The motion requires the offending party to appear in court and explain why he or she should not be held in contempt. The contempt hearing is similar to a court trial in which both sides present evidence, call witnesses, and cross-examine witnesses. Based on the evidence presented, the court magistrate issues a decision. If a person is found in contempt of court, the finding could be for civil violations, criminal violations, or both. Criminal violations could result in fines and jail time. 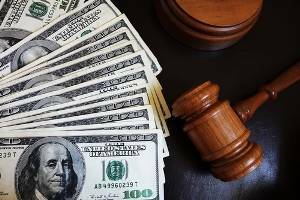 In the case of civil violations, there are certain enforcement procedures that can be used to compel the offending party to pay what is owed. For example, if you are owed maintenance and/or child support payments, collection procedures such as wage garnishments, bank account seizures and liens on personal property can be used to help recover the debt. Post decree enforcement measures should only be used as a last resort after other attempts to resolve the issue with the offending party have been exhausted. At Mevorah Law Offices LLC our attorneys are skilled litigators inside the courtroom and strong negotiators outside of court. Whether your ex-spouse is in violation of the divorce decree or you are being falsely accused of the same, we work closely with you and the opposing legal counsel to negotiate a resolution that protects your rights. If litigation does become necessary, you can rest easy knowing you have experienced advocates in your corner. If you need help with post-decree enforcement and contempt hearings in Illinois, contact our office today at 630-932-9100630-932-9100 for a free consultation.